Pull-over w/mesh ventilation panels and scoop neck; ideal for runners and cyclists. 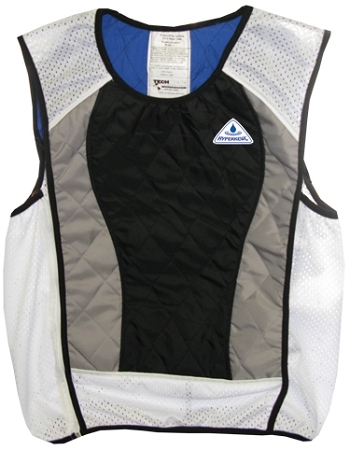 Provides 5-10 hours of cooling relief per soaking; extremely lightweight, durable and washable. 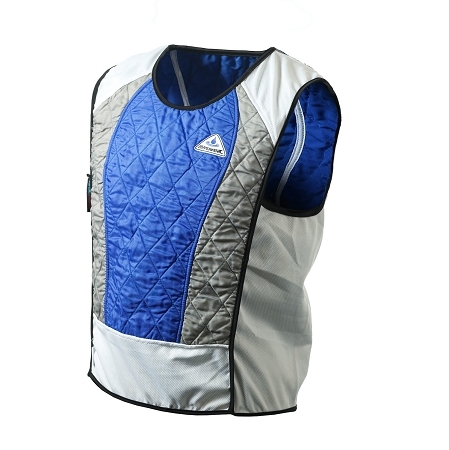 Comfortable, quilted nylon outer w/polymer embedded fabric inner, water-repellent nylon liner, and black cotton-poly elastic trim. 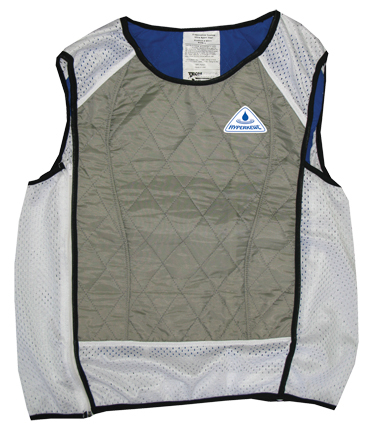 See HYPERKEWL Evaporative Cooling Sport Vest for additional information on how the vest is used. For size information please see the charts below. 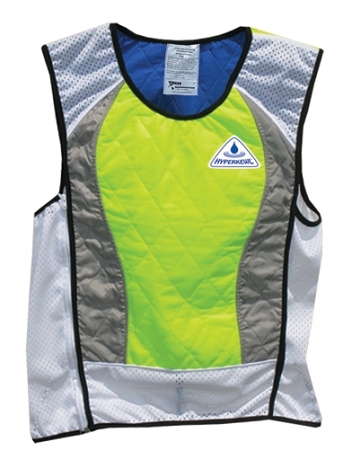 These vests are designed to be worn outside of other clothing to ensure proper evaporation of the absorbed water. PLEASE NOTE: This vest cannot be returned once it is used. Be sure to try it on before using, if a size exchange is necessary it can be made.